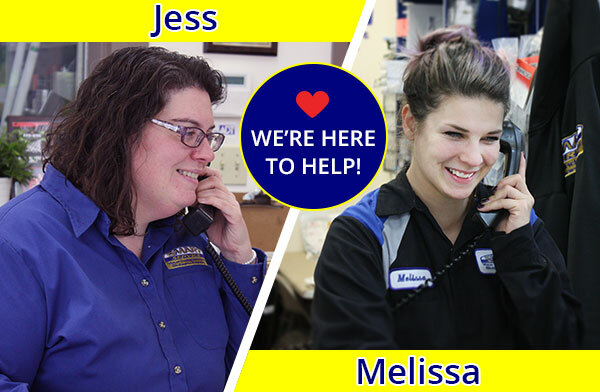 Do you have questions about one of our parts or your order? Don't hesitate to reach out to us using any of the ways below. We respond to most questions within 24 hours. For immediate assistance please call us. Calls outside of our operating hours are typically returned within 24 hours. Weekends and holidays are the exception. Please keep in mind, we are unable to provide a diagnosis via email. For diagnostic or repair inquiries, please contact us at our repair shop's main website www.Smart-Service.com. Thank you! Phone Order Fee: Phone orders are available for an $18.00 processing fee. The fee is to cover our expenses for manually entering the order into our point-of-sale system. To receive the best pricing, we encourage you to order through our secure online store.